It’s Tuesday! Meaning we have again some exciting releases to celebrate and … to giveaway!!!!! This week we celebrate Everneath by Brodi Ashton. My Everneath Review just went up today, so please take a second and stop by! Congrats and thanks to all of you who entered, we will contact the winners! Like us? Then you might consider subscribing our Feed instead! I have heard such great things about this book and the cover is beautiful. Thanks for the giveaway. This cover is gorgeous & is the first thing that made me interested. I've also heard a lot of rave reviews. Can't wait to read it! Thanks for the giveaway! Been wanting to read this for a while. Super awesome giveaway!! I'm intrigued by this book because it seems to get rave reviews, and it also seems unique in the paranormal world. Great cover, too! I love how she has to make a choice between life above and below. I LOVE the cover of this book & just the whole dark Greek mythology feel to it. Thanks for this wonderful giveaway! I love books that deal with Greek mythology, and I've heard that this is a really good one!! I have read many excerpts/teasers on Everneath, all of which piqued my curiosity. I think this is one of those times when a love triangle is well-constructed! The cover is beautiful, that first drew my attention then i read about the summary and it sounds awesome! The fact this takes the Hades/Persephone myth but comes up with a new twist and new world of Everneath. Also the love triangle going on with Nikki, Jack, and Cole. I love bad boys and I have read in plenty of reviews that he is definitely a bad, bad boy but also extremely hot and intriguing. I love Greek Mythology and the cover is just gorgeous! This book sounds very intriguing because it deals with Greek mythology … something I'm really inerested in !! I'm also very curious about this whole "immortals Feed on the emotions of despairing humans" thing 🙂 !! And obviously I'm very intrigued by Cole's character … Gosh I love bad boys!! Thanks for this amazing opportunity !! It's so sweet to open the giveaway internationally *HAPPY FRENCH ME* !!!! I love this kind of paranormal and fantastic books which even related to tales and myths, too! And from the synopsis it sounds exciting and wonderful! The book intrigues me because I love twists on traditional stories like Persephone’s. Love the cover! I really enjoy new twists to old stories. I can't wait to read this book, adding to my list. Thanks for a chance. Like a lot of people said, the cover is great and what the heck does she decide; if she tries to cheat fate, how can she do it? I don't know a lot about mythology, but have been getting a little more into books relating to it, so that's another reason I'm interested in the book. I have to say the book cover had me at the get-go. It’s really attractive. And I think the fact that it is somehow related to Greek mythology really intrigues me. First of all, I just loved this cover! So etheral and beautiful! Secondly, I love greek mythology. As I adored The Goddess Test, I'm sure I'm going to love Everneath as well! I have a slight obsession with all YA Mythology novels. So Everneath is definitely a must read for me! Thanks for the giveaway! I always was interested in Greek mythology, and I like to read fiction books based on it. I loooove novels that are retellings of myths, especially the Greek myths I love. 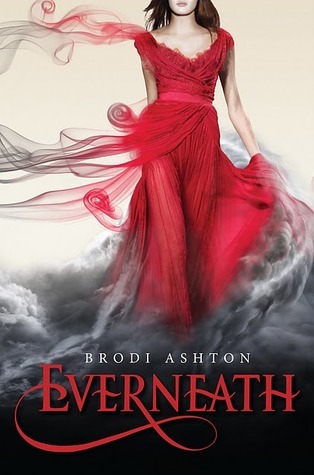 Everneath is right up my alley – and it has such a gorgeous cover! The cover is what catches my eye. Just beautiful. Also sounds interesting. I just love the cover and once I read that its about greek mythology I just had to read it!! So imaginative – I can't put books like this down! Everyone seems to love this book! There are so many giveaways out there for it right now! The mythological aspect intrigues me about it! The cover is breathtaking and the description sounds mysterious!